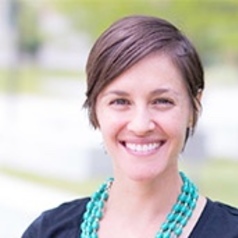 Adrianne Kroepsch is an assistant professor in the Humanities, Arts, and Social Sciences Division at the Colorado School of Mines, where she studies and teaches about environmental governance in the American West. Prior to joining the faculty at CSM, Adrianne worked as an instructor and researcher at the Center of the American West at the University of Colorado-Boulder and as a journalist covering science and technology policy in Washington, DC. Adrianne has a PhD in Environmental Studies and an MA in Geography (hydrology), both from the University of Colorado-Boulder. Her undergraduate degree is in Science & Technology Studies from Cornell University.